Math- This week we worked on geometry, multiplication, and subtraction while doing an art activity! 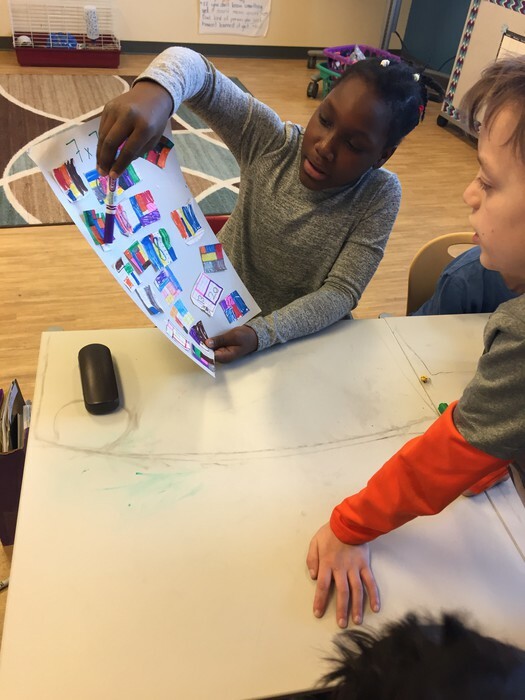 Who knew art and math could go hand and hand?! We had a very challenging activity, but the students persevered. We were so proud of them. 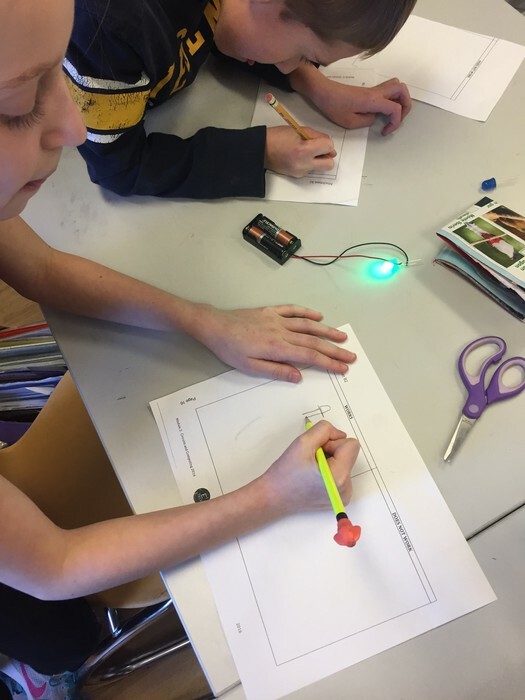 Science- We started our circuit unit and the kids are loving it (so are we!) We're figuring out how to create a complete circuit. 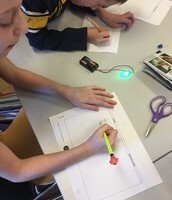 Yesterday students explored ways that worked and didn't work to create a complete circuit. Check out the pictures below to see what they came up with! Writing- Next week we will begin opinion writing! This will not only give students a voice, but help prepare them for the Ohio State Test. Click here to see the weekly homework menu. 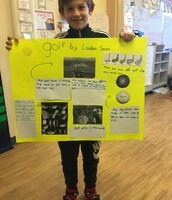 Students will present their Genius Hour presentations after school on Wednesday, February 8th from 4-6. Students will stay after school for these, and a permission slip will be coming home tonight for that. We understand that with sports some students may not be able to stay for these, so we will also allow students to present in our SLC for other classes Thursday morning. On February 7th, come to the New Albany Dairy Queen and vote for your favorite Blizzard designed by teachers. Dairy Queen will donate 20% of total sales from the 4 nights back to our school. The 3rd grade blizzard is called the "Eagle Triple Treat," and will have oreo, cookie dough, and hot fudge! Miss Pratt will be volunteering at DQ on Feb 7th from 7-8 p.m.
A class list will be coming home today to make Valentine's cards if you choose. Gracyn and Will worked together to create a complete circuit. They created diagrams to show ways that worked and ways that didn't work. 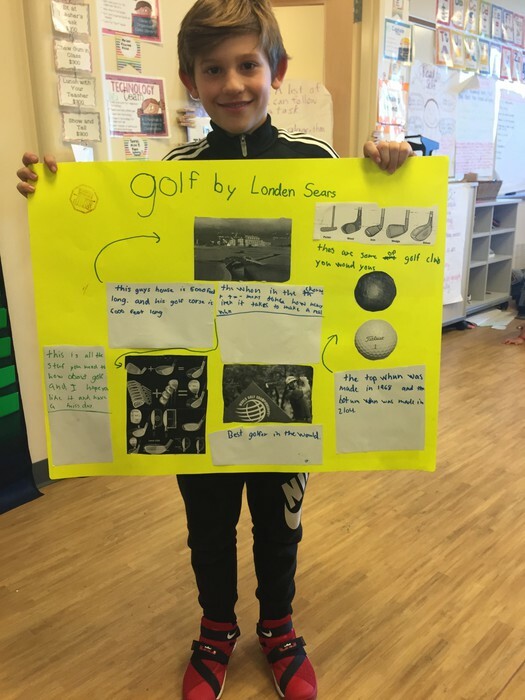 Students put finishing touches on their Genius Hour presentations this week. Here's a peek at Londen's. 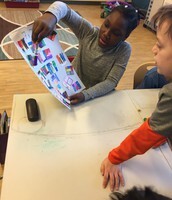 Students used Mondrian art puzzles to explore geometry (quadrilaterals & area), multiplication (area), and subtraction. We also made our brains stretch with some mistakes!